KEVADIA, India – India on Wednesday inaugurated the world’s tallest statue, a $400-million effigy of independence hero Vallabhbhai Patel that towers nearly twice the height of New York’s Statue of Liberty. 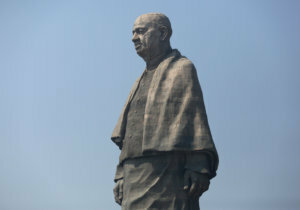 The 182-metre (597-ft) steel and bronze “Statue of Unity”, in the prime minister’s home state of Gujarat, is part of his Hindu nationalist party’s efforts to re-brand what it calls “forgotten” leaders. 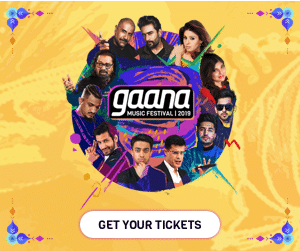 “Patel wanted India to be a forceful, strong, sensitive, vigilant and accommodative nation, and we’re working towards that,” Prime Minister Narendra Modi said at Wednesday’s ceremony. Modi, who ordered the statue built on the Narmada river when he was Gujarat chief minister, said last year there had been efforts to “belittle” or “remove from history” the contributions of Patel, who helped unite India’s 562 princely states as the first home, or interior, minister. Funds for the statue came from the federal government, state-run companies and other institutions, and it was built in 33 months by construction and engineering company Larsen & Toubro Ltd. Depicting the bald Patel in traditional attire, with a shawl over the shoulders, the statue used 210,000 cubic metres of cement, 25,000 tonnes of steel and 1,700 tonnes of bronze. Some of the leaders Modi has branded as “forgotten” came from the opposition Congress party, and fought for independence from colonial ruler Britain in 1947. Facing five state elections and a general election due by May, Modi and his Bharatiya Janata Party (BJP) are reaching back into history for alternatives to the heroes of the Nehru-Gandhi family that dominated Congress. The BJP says Congress has deliberately ignored leaders such as Patel, B.R. Ambedkar, who led the drafting of the constitution, and freedom fighter Subhash Chandra Bose. The accusations are a distortion of history, says Congress, which ruled India for much of its independence history and is now led by Rahul Gandhi, the great-grandson of Jawaharlal Nehru, India’s first prime minister. “Ironic that a statue of Sardar Patel is being inaugurated, but every institution he helped build is being smashed,” Gandhi said on social network Twitter, using an honorific for Patel. Some political commentators have criticised Modi for his expenditure on the statue complex at a time when the adivasi indigenous people who farm the land acquired for it are in economic straits and have protested against it. “You would surely ask, on whose land would this statue stand? Whose plan was this?” social activist Medha Patkar wrote in what she called an open letter to Patel.